A West Belfast community group has unveiled ambitious plans for small business units on a vacant site. 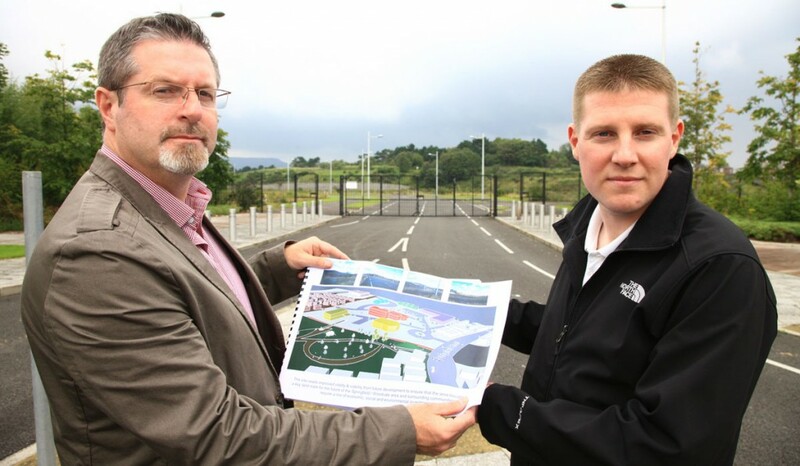 The Belfast Interface Trust (West) has drawn up plans for a deserted wasteland on the Springfield Road. The Invest NI-owned land at the old Mackies site has been lying derelict for a number of years, attracting anti-social elements who use the sizeable interface territory as a springboard for launching cross-community unrest. Daniel Jack from the group says it’s high time something was done about the site. “This land has been an ongoing problem for about eight to ten years,” he said. “It will continue to be a problem while it is vacant and the community is done with firefighting the issues. Jim McVeigh from the Clonard Residents’ Association says there have been discussions with Belfast City Council and Invest NI about the site.